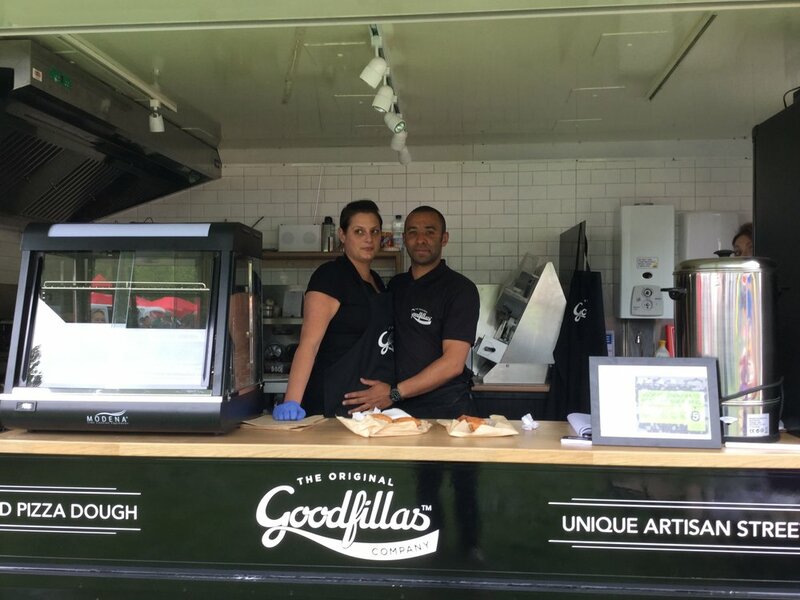 The Original Goodfillas Company is a family-run mobile catering business, bringing a unique and delicious product to the British street food market. 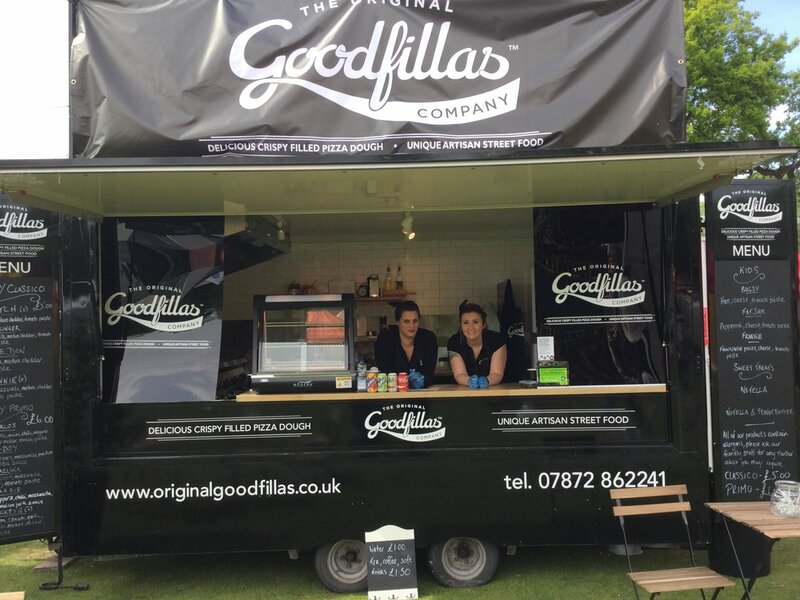 We cater at street food markets, festivals, concerts and events throughout the UK with our lovely Goodfillas trailer. 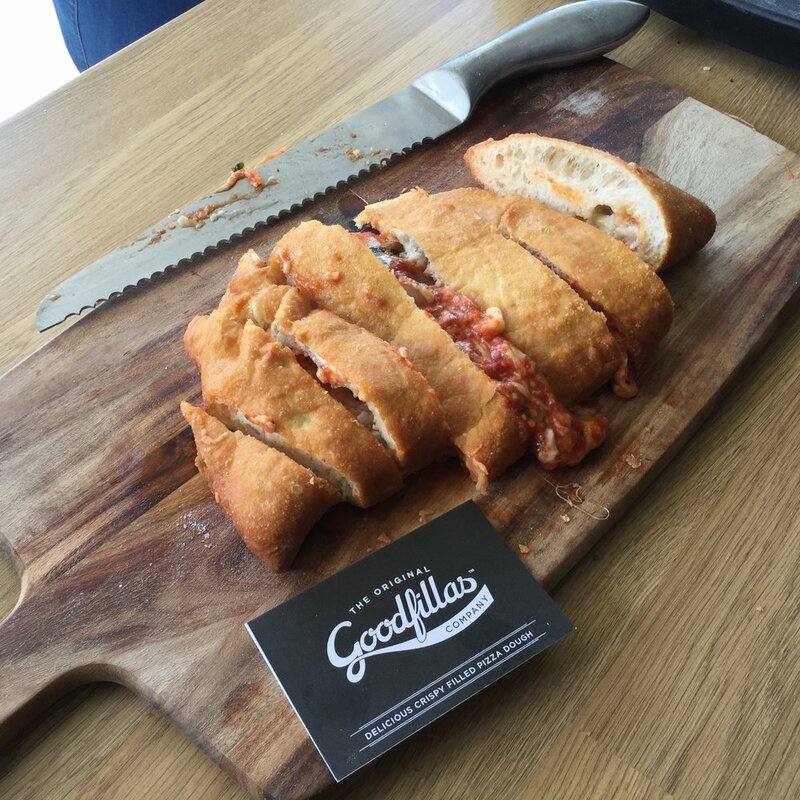 A 'Goodfillla' is a dough based food similar to a Calzone pizza, loaded with your choice of delicious savory or sweet fillings. These are then deep fried to produce a hot and tasty mouth watering snack. 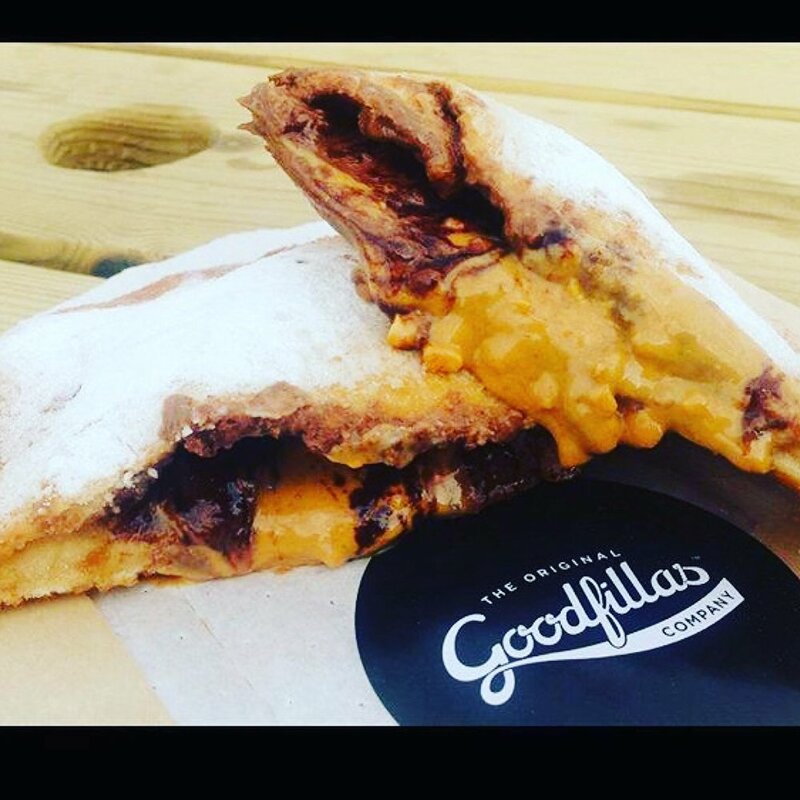 With flavours inspired by Italian, Mexican, American, Jamaican and Asian cuisine, you'll be sure to enjoy every last mouthful. We believe strongly in sustainability and environmental protection therefore all of our packaging and containers are 100% Biodegradable and compostable. We also recycle any used oil into Bio fuel. 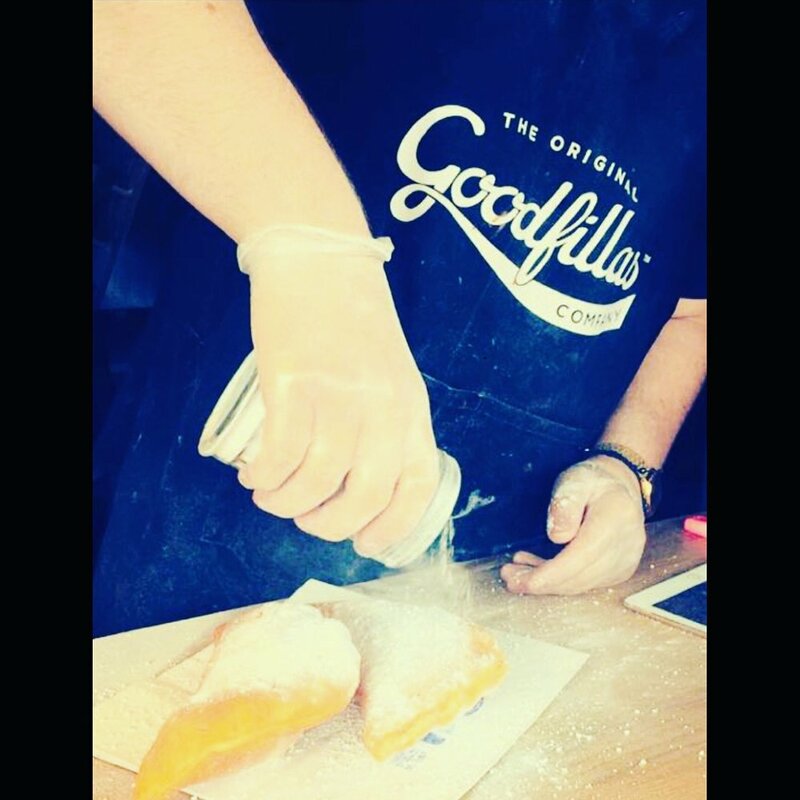 ALL OF OUR PRODUCTS CONTAIN ALLERGENS. PLEASE ASK OUR FRIENDLY STAFF FOR ANY FURTHER ADVICE YOU MAY REQUIRE. 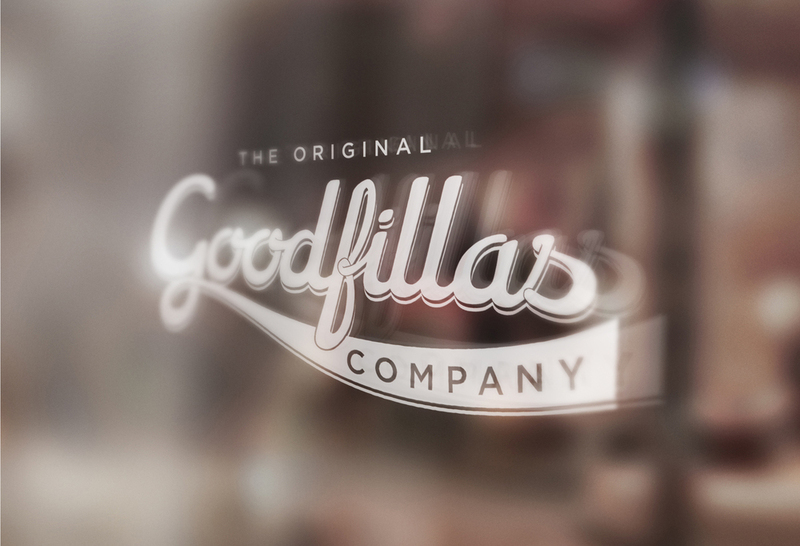 starting up 'The Original Goodfillas Company'! All of our staff are highly trained in all aspects which is reflected in our 5 star food hygiene rating issued by the Food Standards Agency. If you have any queries or require any further information please do not hesitate to contact us using the details below. Take care and we hope to see you at an event soon. We are based in Cardiff and are available for events all over the UK. We are available for 2016 bookings now. For any inquiries feel free to contact us a via phone or email.